Happy New Year, readers! As it always does, the cold month of January has brought me to my crockpot seeking bean and kielbasa stew, hearty soups, and pot roasts. These one pot meals are lifesavers when I teach in the evening and then don’t want to have to come home and cook. 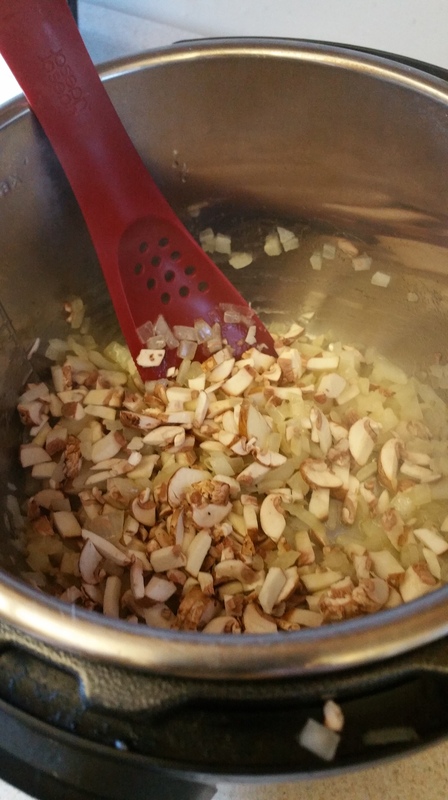 This year, I’ve been trying to use my pressure cooker a little bit more to save time on recipes and also infuse deep flavors into proteins and grains. I can’t remember what cooking show it was that I was watching, but a chef mentioned making risotto in a pressure cooker and I thought, “What a brilliant idea!” After a little Google-fu, I found that others had tried this and had great success, so I decided to throw my own culinary skills at it. The pressure cooker I have also has a sauté function, which is even handier because it meant that this meal could be made with nothing but a few delicious ingredients, a cutting board, and one pot. Less dirty dishes, far happier Neen. So without further ado, let’s get to this earthy, creamy and really satisfying mushroom risotto. 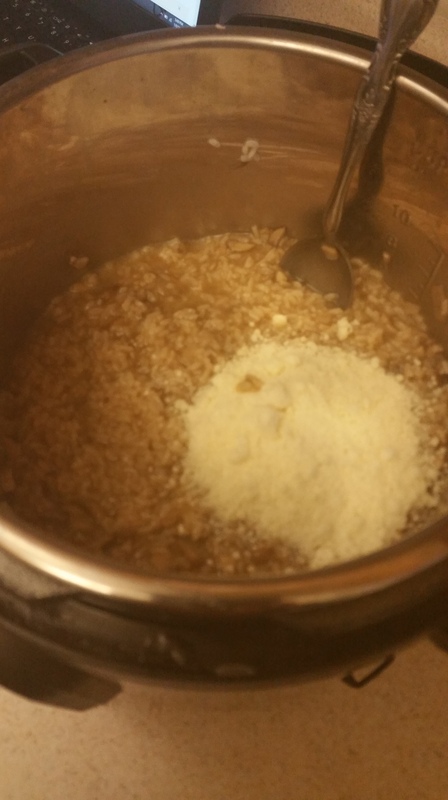 1 ½ cups Arborio rice or other short grain pearl-shaped rice. 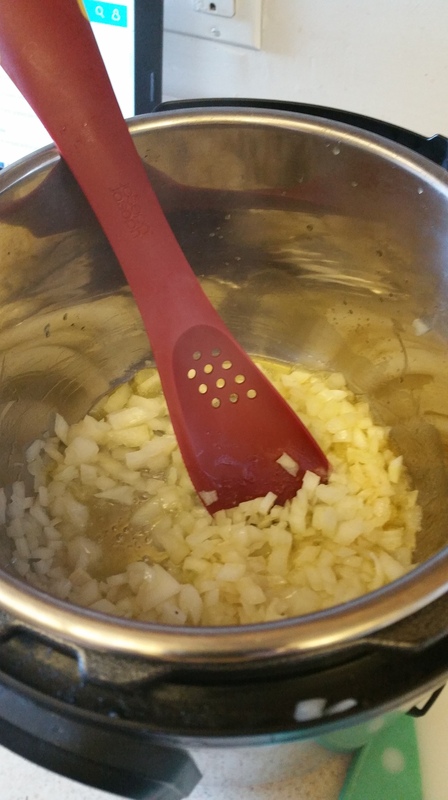 Begin by sautéing the onions in the olive oil until soft and translucent. 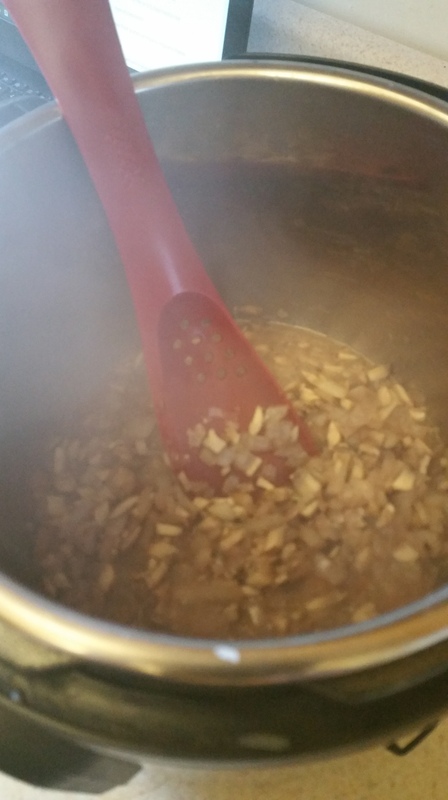 Add the mushrooms and cook until they give up their juices and most of the liquid has evaporated. 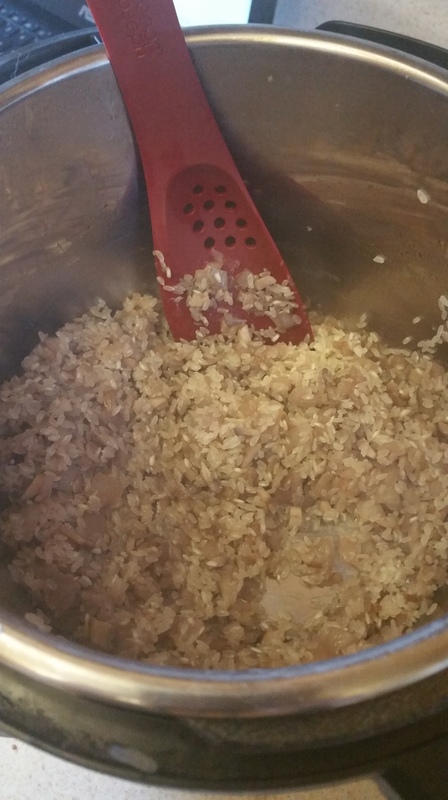 Add the rice to the cooker and stir to combine. Sauté the rice with the vegetables for 1-2 minutes and then add a splash of red wine (or stock/water) to deglaze the pan and get any browned bits off of the bottom of the sauté pan. 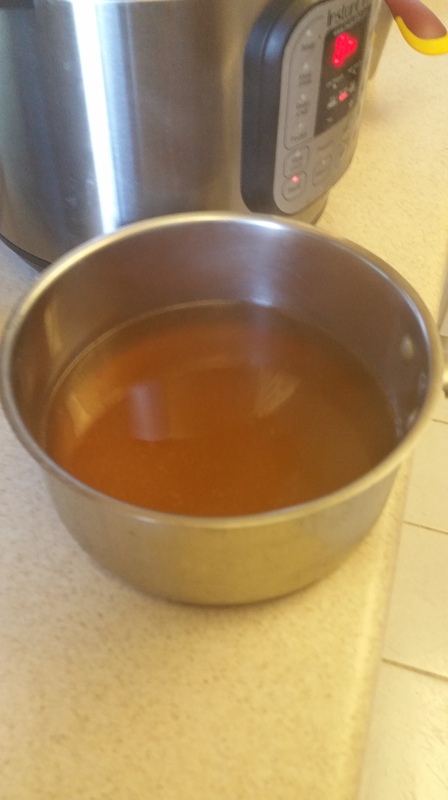 Finally add the stock or broth. 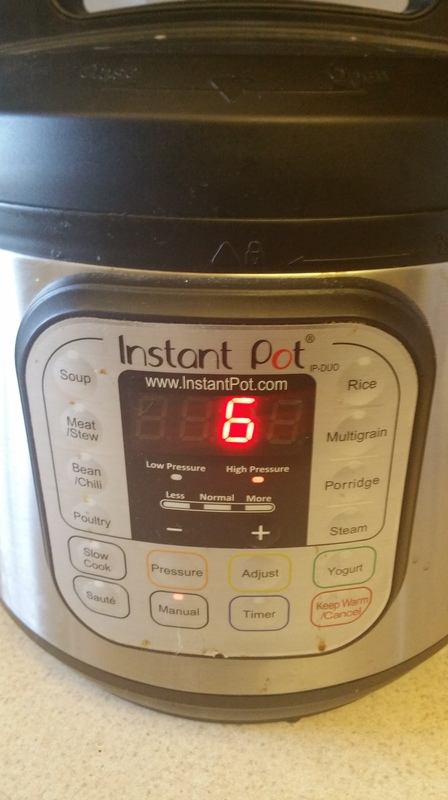 Put the lid on the pressure cooker and set it to cook at high pressure for 6 minutes. After the time has elapsed, you can wait for the pressure cooker to release steam naturally or use the quick release function. Give the rice a quick stir and then add the romano cheese and mix well. And that’s as simple as it is. 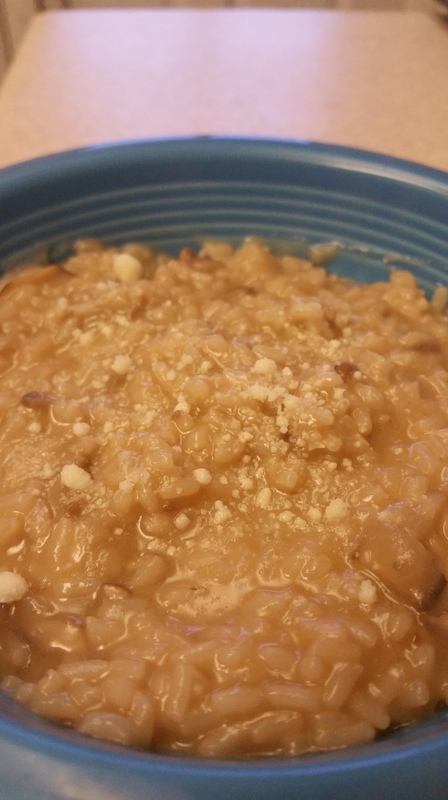 Risotto in less than 20 minutes. This makes quite a lot, so you may have leftovers. It reheats well on the stove, or can also be used to make arancini straight out of the refrigerator. I wish you all the best and happy cooking in 2017. Let’s continue to make delicious food together!